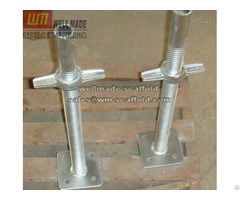 Hot Dip Galvanized Square Tube in 50x50mm, 100x50mm, 100x100mm is made by high strength steel structure in S235 steel grade in wall thickness of 1.2-5.0mm is used as main beam, secondary beam, steel beam waler for construction concrete formwork system of beam formwork, wall formwork, table formwork, slab formwork, roof formwork, table formwork as floor support for film faced plywood, floors, platform, column support and waler fixing in concreting forms. 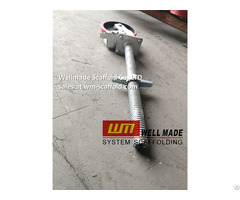 Tianjin wellmade scaffold is a leading steel tube and steel pipe mill produces 1000 tons per day exported to 49 countries worldwide by high quaity in EN BS, ASTM, JIS stardard by compeititive price. 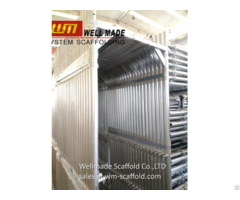 Wellmade Scaffold is also a famous OEM scaffolding factory produces for worldwide famous formwork engineering companies, construction comanies and major general contractors, oil and gas groups in top quailty. 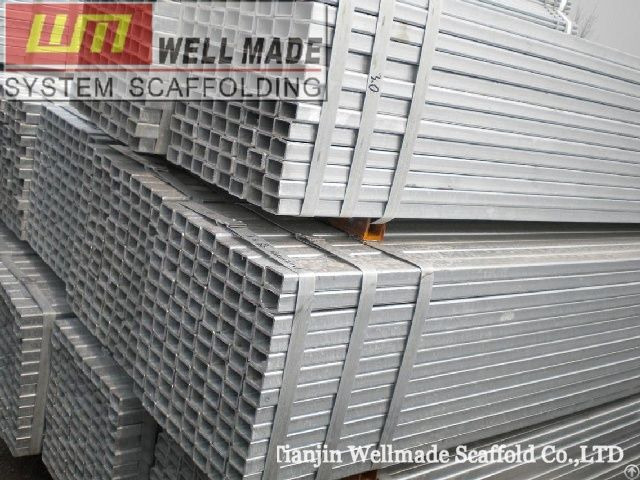 Business Description: Tianjin Wellmade Scaffold Co.,LTD is a leading ISO9001:2008 &CE certificated scaffolding manufacturer in China.50,000 Square Meters Auto production Line; over 1 decade manufacturing experience; 1 hour reach Tianjin Port, offer top quanlity products with great price to over 51 countries.Main items include:Scaffolding Systems, Steel Pipes and Fittings, also with Formwork Accessories, etc.